Thanks for pulling these together? I’m halfway through listening to all of them. And FYI – it’s Derek Sivers, not Shivers. Thanks for your comments Steve… and I truly appreciate the correction. It has been made. Great article, very informative discussion and full of ideas. Add to this Saras Sarasvathy’s talk from TEDxMidAtlantic 2010 – http://bit.ly/hH9hgN – An excellent study of the entrepreneurial process. Great collection! Been watching all night. 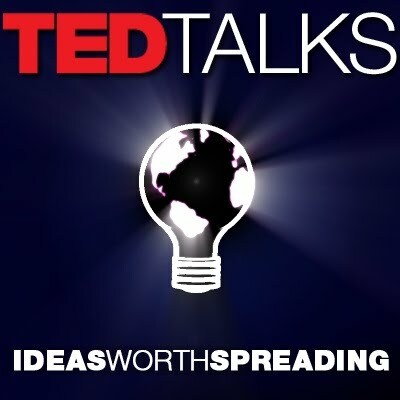 I love TED videos, and especially those where entrepreneurs talk! I already watched most of those on the list and loved all of them! I will make sure I watched all on the list, and thank you for putting together this awesome list! Anyone who thinks he is an entrepreneur, most of those videos will motivate, educate and help to succeed. Blogging has become the easiest medium for entrepreneurs to connect with other personals in the same profession. Sharing the information with different bussiness personals makes an entrepreneur prepared for taking up any business responsibilities and minimise the risk. 1on1 links is one such business network which ensures high entrepreneurial skill to new people in the business. What’s also great is that I found that most of these speeches are available for free on Apple TV! Reblogged this on Weekly StartUp. Great collections of every greater minds.It has been a treat and encouraging..
It’s career coach Friday and I thought this was a perfect article to pass along! Great videos helpful for any entrepreneur. And by the way, entrepreneurship is not just about starting new businesses, it’s also about being entrepreneurial in your current role, even if it’s part a large company. What do you think? Reblogged this on Discover Your Personal Power. I genuinely enjoy reading your articles. Can you suggest any other blogs/websites/forums that deal with the same subjects? Generally I do not learn post on blogs, but I would like to say that this write-up very forced me to check out and do it! Hey, useful post…love the way you have presented the whole detail’s…it’s always good to read and get to know quality stuff… Entrepreneur India provides small business opportunities, best business ideas, how to grow your business etc. Do visit our website and get all business solutions as per your requirement’s. My Goodness. All brilliant people at one place.. I have seen all the videos already and “Seth Godin on Standing Out” is my most loved one. Thanks for this big share. your info’s helpful to make our service best… so keep your frequent update please. Great article, I love these videos! I just delivered my TEDx Talk last month on a new model for Startups and I am hoping it helps people unleash their inner entrepreneur!